4. Water temperature and how it increase metabolic activities and determines feed digestion & utilisation rate and also availability dissolved oxygen in water. Maintaining a good water quality while raising your fish is very important, because fish perform and grow better in a water environment that is conducive for them to feed well and digest whatever they eat for proper utilisation. You will notice that sometimes, when your pond water is very dirty and stinking. When you try to feed them they will not rush it and they will also show signs of weakness, but once you refresh the water with a clean water, they will become more active and ready to eat more. That is why anytime you want to feed them, always have it at the back of your mind that, you are not only feeding them to grow, you also have to be mindful of the condition their pond water is, because good water condition will help them to pick your feed well and digest it better, but bad water condition will give them reason to vomit what you feed them with and also discourage proper feed digestion and utilisation and lastly high pollution rate will encourage growth of fish disease causing organism to multiply, and all this thing will stress them and reduce growth rate. 2. Sometimes when you over feed, uneaten feed will dissolve and the suspended solids from the feed ingredient will further pollute the water. 3. When you feed them and after feeding you discharge their water so you can refresh it they will vomit. 4. When after feeding, you enter the pond to harvest some of them, they will vomit the feed back into the water. 5. If you feed them in a very bad water condition, they will vomit and have more waste product to excrete. That is why it’s recommended that water change is done once in three days or as soon as farmer start perceiving offensive odour from the pond water. If you are keeping fish pond water for a very long time, and you refuse to refresh it by discharging some of it and pumping in clean water, you are not helping the fish growth at all. Please refresh the fish pond water as soon as you can. The pond water depth you maintain in your fish pond is another thing you need to really watch out for. Most fish farmers don’t know the importance and the role pond water depth plays in feeding fish, I know that most of us have big ponds with large surface area, so pumping water to a particular depth may be too expensive for us. I will not deceive you, the pond water depth you maintain affects the fish behaviour in a lot of ways, especially when it comes to feeding. So I will recommend we maintain at least 0.5 meter and at most 1 meter depending on the pond depth we have. If your pond depth is 1meter, your pond water depth should be around 0.5 meter to 0.8 meter for your fish to perform well and enjoy their water environment. But if you have total pond depth to be 1.5 meter please try and maintain pond water depth of 1meter to 1.2 meter. 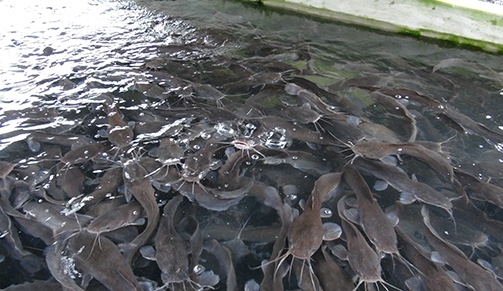 For fish farm hatchery, please don’t use that measurement above. Your own pond water depth should be between 0.2 meter to 0.3 meter so that you won’t stress the life of you hatchlings and swim up fry. After two weeks of hatching out then you can gradually increase the pond water depth. Fry like to swim up and down as a form of exercise especially when they are picking feeds on water. High water will make them have long distance to travel and also dissolved oxygen won’t circulate well in high water, the ones down may even suffocate due to low dissolved oxygen at the bottom of the pond or may not even know you are feeding at the top if the water is too high. Lecture by Kehinde, your Aquaculture Technical Executive from Olam Grains, producer of Bluecrown, Aqualis and Ecofloat fully floating extruded fish feed. 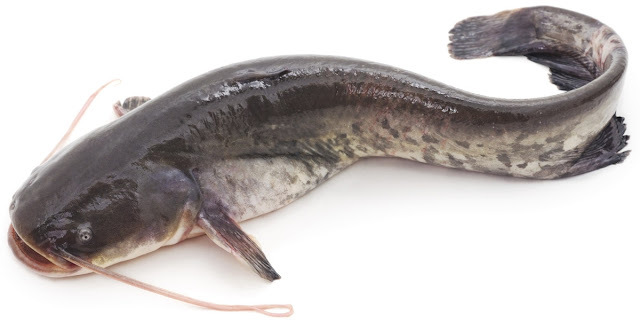 Based in Imo state, and currently attending to fish farmers, rendering technical support and services that will contribute to the growth of their fish farming business.